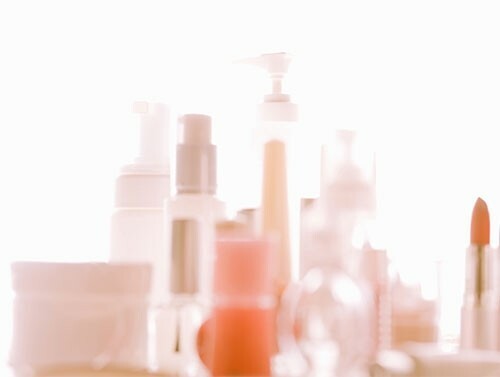 When it comes to navigating the beauty aisle in a quest for healthy products, the product labels themselves can sometimes be less than helpful in determining whether or not a product is truly healthy. Instead of just relying on clever marketing on product packages, remember these definitions the next time you are perusing your local store or favorite beauty website. This may be the most misleading term to use on a product label, especially to those who are new to green beauty. Although the term most definitely leads one to assume that the product must contain (at least some) natural ingredients, it certainly does not mean that the product is organic. For a product to be "certified organic" it must contain 100% organic ingredients. Product labels may use the terms "100% organic" or "certified organic" and can display the USDA (U.S. Department of Agriculture) Organic seal. For a product to say it is "organic" it must contain 95% or more of ingredients that are certified organic. In addition, the product can not contain any GMO’s (genetically modified organisms). Labels can use the USDA Organic seal. Products that contain at least 70% or more of ingredients that are certified organic can state on labels that they are "made with organic ingredients." However, the remaining non-organic ingredients must be GMO-free. These products may NOT use the USDA Organic seal. This is an important one because exposure to this chemical is said to have distinct health implications. Parabens are a family of preservatives used across many personal care products including shampoos and conditioners, deodorants, lotions, sunscreens and cosmetics. These preservatives are cause for concern because they can mimic the hormone estrogen and act as hormone (endocrine) disrupters. Certain studies have also linked use of parabens to an increased risk for breast cancer. On top of these concerns, a study by the Harvard School of Public Health also linked one type of paraben (propylparaben) to impaired female fertility. The most commonly used parabens include butylparaben, ethylparaben, methylparaben, propylparaben, isobutylparaben and isopropylparaben. Of those, propylparaben, isopropylparaben, butylparaben and isobutylparaben are deemed by the Environmental Working Group (EWG) to be of most concern. This chemical is also an important one to look out for due to specific health concerns associated with exposure. Phthalates (pronounced THAL-ates) are a class of ingredients commonly used as solvents and in synthetic fragrances to help fragrances linger. Despite widespread use across many personal care products, these chemicals are linked to endocrine (hormone) disruption, reproductive system toxicity and cancer. Although banned from personal care products in the European Union, phthalates are still prevalent in the United States. The most commonly used phthalates in personal care products include dimethyl phthalate (DMP), diethyl phthalate (DEP), dibutyl phthalate (DBP) and diethlyhexyl phthalate (DEHP). A current loophole in the U.S. federal law allows phthalates to be added to a product's "fragrance" without disclosure to consumers. Sulfates are a type of surfactant found in many personal care products, especially shampoos. They are known skin and eye irritants, in addition to just being harsh on the skin and hair. The major sulfates are sodium lauryl sulfate (SLS), sodium laureth sulfate (SLES) and sodium dodecyl sulfate. A growing trend, this term signifies that the product in question has not been tested on animals. Often shown on labels as "the leaping bunny." As the name implies, any beauty product that is vegan does not include any ingredients that are derived from animals. A product free of synthetic fragrance protects consumers from exposure to unknown chemicals added within a product’s secret fragrance formula. As mentioned above, a loophole in the U.S. federal law allows manufacturers to keep "fragrance" ingredients hidden. This lesser-known ingredient is a skin conditioning agent that is used across cosmetics and hair products. According to the Environmental Working Group, this chemical can be a skin/eye irritant and has been associated with contact dermatitis. Synonyms include dihydroxypropane, hydroxypropanol and methylethyl glycol. Hopefully, your next beauty products run will be much easier now that you are armed with more information. Happy shopping!